Gentlemen, we know that sometimes it’s hard to shake old fashion habits. We’re here to tell you what works—and what doesn’t—when it comes to dressing for work. Visible undershirt: Undershirts are a very important thing. Without them, you would have sweat stains. But when you loosen your office tie you realize that it hid your undershirt, too. Switch out the crew neck for the v-neck, and your undershirt will always stay hidden! Mismatching belt and shoes: It’s a very common fashion faux-pas, but your belt and shoes should always match. It’s perfectly fine if the quality of leather is different for each, but you should stay away from pairing a brown belt with black shoes. Matching your socks: It’s a common misconception that you should match your socks with your shoes. You should actually match them with your pants! It creates an even, cohesive look from head to toe, whereas matching your socks to your shoes actually draws the eye down to your feet. 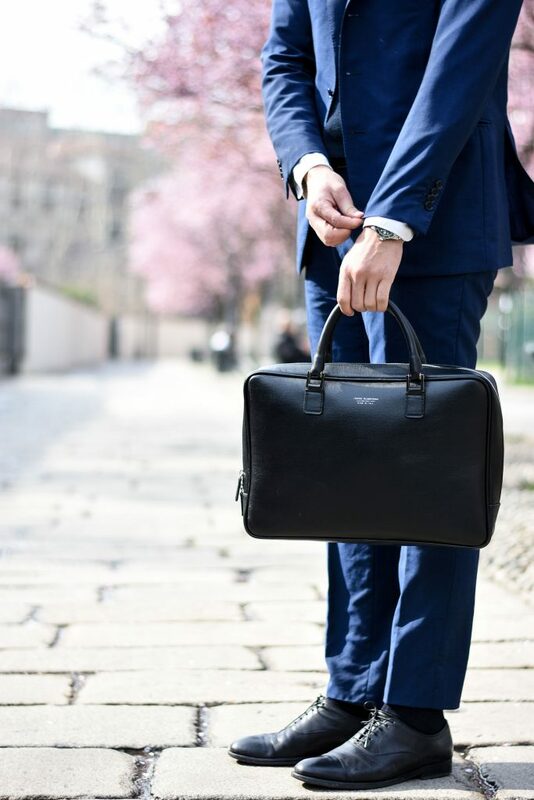 Suits and backpacks: Although backpacks tend to be very practical when moving your laptop from Point A to Point B, they can have style limitations in the professional world. Toting a backpack that has velcro and pockets galore can quickly dress down your office attire. Instead, consider swapping it for one that has muted colors and a contemporary shape. 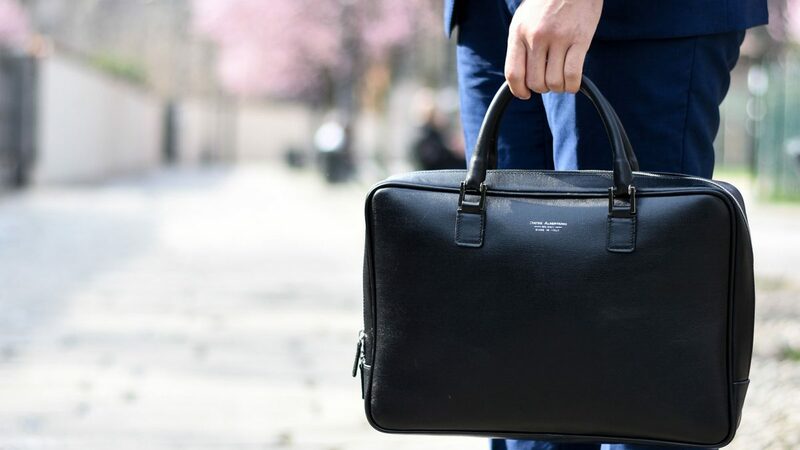 You also can’t go wrong with a leather carrier in either brown, black or navy blue.